G.P. Huntley (1866-1927), also known as George Patrick Huntley, was the son of English actor parents, and was born in Cork, Ireland in 1866 (he later knocked two years off his age to appear younger and claimed to have been born in 1868) when his mother and father were touring with their theatre company. Huntley was a stage name, as was Patrick, and Patrick was chosen in honour of the country of his birth. The family moved back to London when G.P. was a child in the early 1870s. His father Frank was my great-great-great-great uncle and from this side of the family he was descended from a well-known legal family. From his father's side he was the second cousin once removed of stage and film actress Kathleen Harrison. 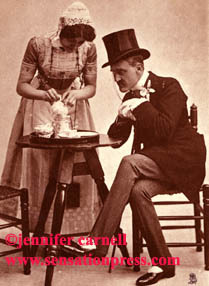 From his mother's side he was descended from actors and his mother's brother was an artist. His first experiences were occasional ones with his parents as a child and as a teenager he was chaperone to his actress sisters and began to act with them. As a young man his father had acted with the future novelist Mary Elizabeth Braddon and in 1891 G.P. 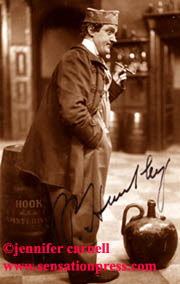 Huntley played the role of the lawyer Mr. Sampson in a stage adaptation of the Mary Elizabeth Braddon novel The Cloven Foot with Janette Steer in the lead role. 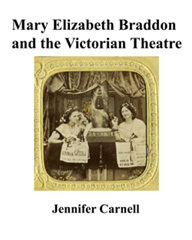 The Huntleys feature in a new book Mary Elizabeth Braddon and the Victorian Theatre. 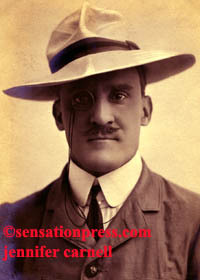 In this book and another Sensation Press publication can be found a full biography of G.P. Huntley and his career. G.P. Huntley with Isabel Jay in the musical Miss Hook of Holland. Eva Kelly, G.P. 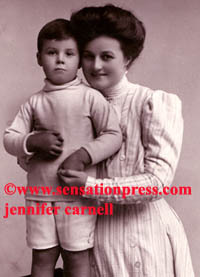 Huntley's wife, with their son Timothy Huntley in about 1908. The little boy later became an actor as G. P. Huntley Jr. and Tim Huntley. G.P. Huntley as Lord Plantagenet and Edna May as Lady Binfield in Kitty Grey. 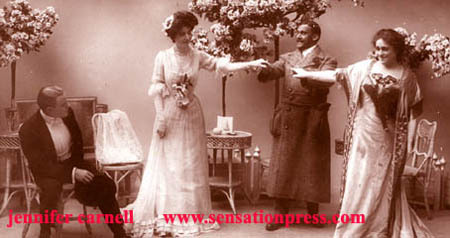 Kitty Grey was first performed in London at the Apollo Theatre in 1901. G.P. Huntley as Lord Cheyne in Three Little Maids with Delia Mason as Edna Branscombe. and Barbara Huntley as Mrs. Marchmont. G.P. Huntley as Freddie Popple in Mr. Popple of Ippleton by Paul Rubens. Kenneth Douglas, Olive Hood, G.P. 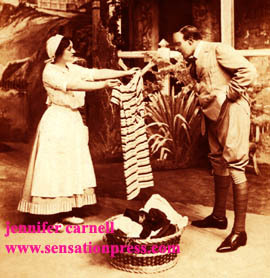 Huntley and Ethel Irving in Mr. Popple. 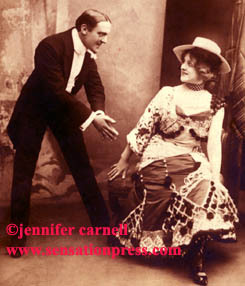 Eva Kelly as Didine and G.P. Huntley as Hon. Phil in 1908. 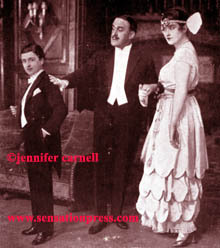 Daisy Burrell as David, G.P. Huntley as Lord Playne and Modesta Daly. Betty was written by Frederick Lonsdale and Gladys Unger, with music and lyrics by Paul A. Rubens and Adrian Ross. It was performed at Daly's Theatre in London in 1915, under the management of George Edwardes. 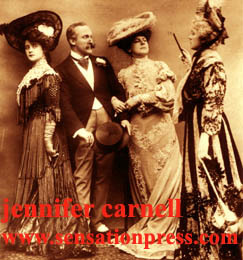 Jennifer Carnell, Mary Elizabeth Braddon and the Victorian Theatre (The Sensation Press, 2016). Copyright © 2006 - 2018, The Sensation Press, All Rights Reserved.